We spend about one third of our lives sleeping. Yet, many of us still don't recognize the importance of a good night's sleep. Instead we try to minimize "down time" or even hack our sleep just to get more out of life. But getting more out of life has a lot to do with how good we sleep. It's a proven fact that insufficient quantity of sleep may cause serious illnesses - those suffering from insomnia know what it means to struggle during hard days without having the energy of a good night's sleep. Read more about what influences our sleep and what you can do to get yourself more energized! When reflecting on quality of sleep, definitely one will come to the core question “What makes our sleep either good or bad?”. Between 2010 and 2015 Bico of Switzerland has made an in-depth exploratory with scientific sleep experts, physicians, engineers as well as consumers, buyers, and people struggling with sleep disturbances, all fueled by one goal: Find out what really makes up the quality or our sleep. Scientific data were compiled to derive a simple methodology from the findings leading up to what Swiss Sleep System has developed as "The Sleep Pyramid". It explores 3 areas: The individual sleeper. The bedroom environment. And the bed system. The individual's mental condition as well as the bedroom environment are two key areas that affect the quality of our sleep. We have more details and resources ready for you on our blog. 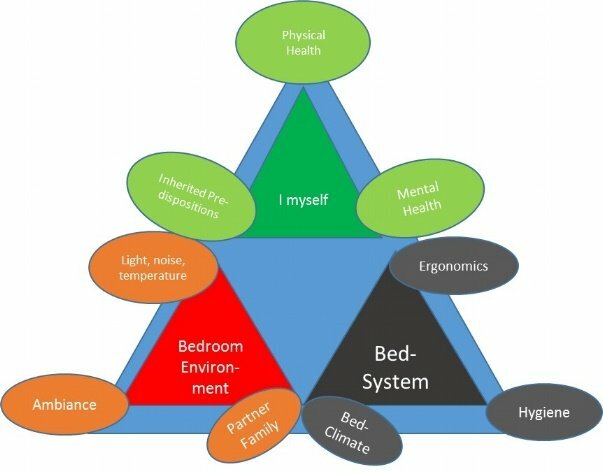 The core dimension that we at Swiss Sleep System focus on is the bed system. It is here where we bridge our expertise to your needs with one goal: Find the best possible bed for you. Learn about the history of Swiss Sleep System, who we are and how we work. There are always possibilities to positively influence your sleep – be it your bedroom or even some personal behavior patterns. Find out where you may have room for improvement and read more about Bico’s sleep tips. For those who'd like to know what their sleep position has to do with their personality - or vice versa - we have some interesting information behind this link. Hint: Don’t take it too serious! There is no best bed for everyone. But there is a bed that suits your needs perfectly. Visit "Bico of Switzerland", founded 1861. Discover the product range of Swiss premium mattresses, adjustable slat bases, bed frames, and exclusive accessories such as down quilts and pillows - all Made in Switzerland. Is it uncomfortable to use two mattresses on a queen- or king-sized bed? On the contrary, the personalized bed can be achieved with two mattresses. The bed frame prevents the mattresses from slipping apart, making the division between mattresses undetectable, allowing you to enjoy all the advantages described above. However, the condition for using two mattresses in a queen bed is that the size should be no less than 160 x 200 cm, otherwise the sleeping area will be too narrow. For the basic slat base model, with no adjustment or just head elevation, it is possible to order one matress with two diverse inner cores, what allows the firmness to be different, in case the couple has different body weights. Why are separate mattresses recommended for double beds? There are both technical and practical reasons to choose two separate mattresses. First, if there is a significant weight difference between the two individuals, it is important that each person has a mattress appropriate for his or her body weight – this is a matter of ergonomic comfort. In addition, in a single mattress, the movement of one sleeper often affects the other's rest. This problem is eliminated with the use of separate mattresses. It is also more convenient for each partner to have independent control of head, back and footrest positions. Finally, the bed frame prevents the mattresses from slipping apart, so the center division is unnoticeable. Do separate mattresses need separate sheets? It depends on the model of the slat base. On models where only the headrest is adjustable, both mattresses can be covered with a single sheet. If one or both slat bases feature a mechanically or electrically adjustable headrest, backrest and footrest, separate sheets are recommended for greater versatility. A single comforter or duvet can be used in either case. Can I use a single mattress with two slat bases? If the two of you have similar body weights, the same type of mattress would be appropriate for both. A single mattress could be used if they don’t mind keeping the bed in one position for both individuals. Of course, they would no longer have the option of raising the backrest of one slat base for reading or watching television while keeping the other in the flat position for sleeping. Finally, it takes two people to flip a large mattress each week, while one person can handle the narrower mattresses alone. What is the guarantee on these products? How long do they last? The mattresses and bases are both guaranteed for 10 years. With appropriate and careful use, the slat bases can last for many more years. The Swing-flex® and bico-flex® can last up to 20 or 30 years. The life span of a mattress may be prolonged to 12 or 14 years with appropriate maintenance (turning it over once a week.) However, it should not be kept any longer than that. After 10 years a mattress has become saturated with the toxins eliminated through the normal perspiration of the sleeping body. For the same reason, it is unsanitary for parents to pass their old mattresses on to their children. Does the mattress prevent the slat base from adjusting to the spine? Not at all. SWISS SLEEP SYSTEM® mattresses are compatible with the slat bases, and are designed to work together with the base, providing appropriate orthopedic back support. In fact, the mattresses accentuate the effect of the slat base. Why should I use a mattress pad under the mattress? A pad placed under the mattress protects against the continual friction between the mattress and the slats. Our pads are made of a specially designed material that does not inhibit air circulation to the mattress. 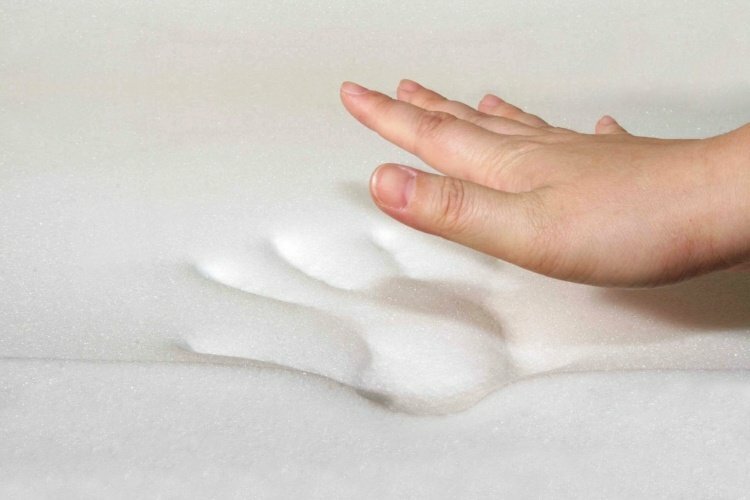 Can the natural materials in the mattress cause allergic reactions? The natural materials contained in the mattresses undergo sophisticated treatments to make them appropriate for household use, and are chemically treated to prevent most allergic reactions. However, those with strong allergies to natural materials (statistically less than 5%) may select one of our fully synthetic mattresses. Does “orthopedic” mean a mattress should be hard? The term “orthopedic” has been misused, especially with sleep-related products, because it has come to be used as a synonym for “hard.” This is due to historic records of the medieval practice of putting boards under mattresses. An orthopedic mattress, in the correct sense of the word, is one that permits the skeletal system, joints, muscles, etc. to lie at a perfect rest, without pressure points that damage the natural state of the body, causing pain or forcing muscles to contract. In this sense, all of our SWISS SLEEP SYSTEM® mattresses are orthopedic, although they do differ according to the individual’s body weight. A mattress suitable for a small, light person is not the same as the one designed for a person with greater body weight. The important thing is that a mattress be right for your body: it must not be so soft that it yields completely to your body weight, or so hard that it leaves a space beneath the lordosis when you lie down. Our integrated slat base and mattress systems are personalized beds that adapt perfectly to your body. There are different options for each body type and medical or physical condition. Does a polyurethane mattress make the bed too hot? No. SWISS SLEEP SYSTEM® mattresses are made with special material to regulate temperature and control moisture. They also include ventilation channels that expel moisture and absorb fresh air, allowing the mattress to breathe throughout the night. Do polyurethane mattresses tend to “cave in” after a while? That depends on the quality of the polyurethane. If poor quality material is used, the mattress probably will cave in. SWISS SLEEP SYSTEM® mattresses use only the highest quality materials. You can check the quality by comparing the density per cubic meter of the polyurethane used in different mattresses. Our mattresses are also reinforced at the midsection, where the body’s weight is concentrated and where the mattress receives the heaviest use. These measures prevent the product from caving in. Remember that it is important to take proper care of your mattress by turning it over at least once a week, flipping it from side to side one week and from end to end the next. Does polyurethane pose a danger of toxicity? Not at all. SWISS SLEEP SYSTEM® mattresses are manufactured using strict quality controls. 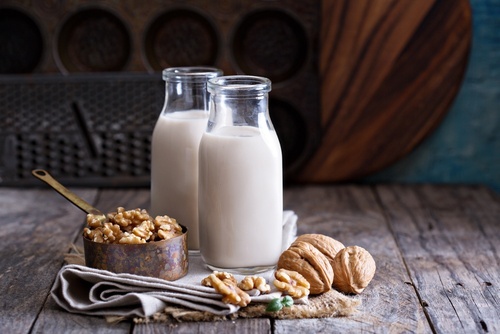 They have been sold for decades on the European market, meaning that they also comply with all current European Union and Swiss environmental and health standards. The mattresses sold in America conform to all US standards as well. Should mattresses be vacuumed to eliminate mites? Vacuuming a mattress does not eliminate mites, since these parasites have tiny “claws” that permit them to hold on to a mattress just as they do on human skin. Washing, brushing, rubbing and vacuuming are all ineffective; the mites remain on the mattress. SWISS SLEEP SYSTEM® mattresses inhibit the rapid reproduction of these parasites. Still, the best-known way to get rid of them is to starve them. That is why SWISS SLEEP SYSTEM® uses advanced technology to provide firm back support in a lightweight mattress. The mattress is easy to turn over once a week, removing the mites from their food supply. How can I clean the mattress if, for example, a child wets the bed? The best way to treat this problem is to prevent it. SWISS SLEEP SYSTEM® offers mattress covers for this purpose. If a child wets the bed, the cover prevents urine from filtering into the mattress. In the morning, the cover can be removed, washed and replaced on the bed, preventing odors, stains and deterioration of the product. Another possibility would be to buy a new cover for your mattress. Why should mattresses be turned each week? Every mattress should be turned over at least once a week for hygienic reasons and to prolong the life of the product. Why do we change our clothes each day, even if they are not dirty? We do it because the body eliminates toxins through perspiration. Our bodies continue to perspire at night, as well as shedding tiny particles of skin. These substances accumulate on the surface of the mattress, creating a paradise for mites, which in turn produce allergies and asthma. Turning the mattress over once a week removes the skin residue, starving the mites. This assures that the surface where you spend eight hours or more each night remains clean. At the same time, you are taking care of the mattress. Turning it from side-to-side once a week and end-to-end the next, allows the mattress to wear uniformly in all areas, just as it was designed to do. Can a mattress be used with a bed base made by another company? It is possible, but generally not recommended. The mattresses and slat bases from SWISS SLEEP SYSTEM® are designed to work as a single product, with each item accentuating the advantages of the other. For example, the mattress is designed to regulate temperature and moisture. If it is placed on a plywood base, the lack of air circulation prevents it from performing these functions. If it is placed on inflexible slats, it will be unable to adapt to the body and provide fully orthopedic back support. Can a mattress made by another company be used with a SWISS SLEEP SYSTEM slat base? This is possible if the mattress is of good quality, but generally it is recommended to use the complete system for maximum comfort. The mattresses and slat bases from SWISS SLEEP SYSTEM® are designed to work as a single product, with each item accentuating the advantages of the other. What are the benefits of a slat base? High quality slat bases combine outstanding elasticity with high solidity – Bico slats, made of 7-layers of Birch plywood, are almost unbreakable while at the same time being very elastic. In combination with the suspension elements mounted at the side bars they offer a 100% suspended surface that provides a perfect balance between pressure relief and support. First, this is the secret of good ergonomic comfort and secondly, it is important for the durability of the mattress. Only with a high-quality slat base system will the mattress keep its resilience and its body support function for up to 10 years. What are the advantages provided by the different positions of the bed? The head and /or backrest with possibility of inclination are very comfortable to read, watch TV, or even eat in bed. Although these beds are not designed as beds for medical use, they are still useful to relieve certain types of afflictions. For example, a person with asthma may find it very comfortable to sleep with a slightly tilted back to breathe better during sleep. The same happens with those who suffer from hiatal hernia (reflux). Even when you have a cold with bad coughing, this inclination of the back can allow the person to sleep better, without making the partner uncomfortable. The inclination in the leg area can be very nice for those who suffer from some type of leg swelling or varicose veins as well as problems with blood circulation. Do slats break when children jump on the bed? Not in any way. In such cases a slat could eventually come off and fall off the bar, but never break. What you need to do is just put it back in place. Of course, if children are allowed to jump on the bed frequently, slats will loosen, making it necessary to replace these loose slats after a few years. To prolong the life of the product it is highly recommended that children are not allowed to jump on the bed. Can slats hold heavy weight people? Of course, no matter what weight the person has, the system is designed to adopt the form of the spine and allow the sleeper to lie on the bed distributing weight evenly, thus avoiding the creation of pressure points (causing backaches). Can a Swiss Sleep System bed be placed within any existing bed frame? This is possible as long as the internal measurements of your bed frame match the standard internal measures of the products. If this is the case it is always possible to adjust the frame in some way and adapt the Swiss Sleep System slat and mattress into it. If this is not the case, see the answer to the next question. Is it possible to have a custom made system? It is possible to provide any special measures on request (one base to 1.52 m wide, electric beds up to 1.38 m wide). However, it will have to be manufactured in Switzerland, so the delivery time will be between 4 to 6 weeks. Can different slat base models be combined in a double bed (King / Queen)? This is entirely possible. For example, you can combine one electric part with a manual one. However, due to different heights of the various slat base ranges, we recommend to combine models within the same range. Is it dangerous to have an electric bed (earthquakes, changes in voltage, short circuits, etc.? There is no danger in any circumstances as the bed is fully insulated to ensure absolute security to its owner. Also, when not using electric functions with the remote control, the bed has a device that cuts electricity right at the power point and avoids any electromagnetic fields. Can it be possible that a Swiss Sleep System is just not for me? The change to any new bed requires an adjustment period, which does not exceed 4 weeks. If you've been sleeping on a very old mattress, which no longer provides any support to your back, you might already have pressure points and are most probably, used to them. When changing to a good bed, where the weight is distributed evenly, your body must first get rid of muscle atrophy and relax, this can on very rare occasions provoke some inconveniences at the very beginning, but only when your back is deformed from using an old and inadequate mattress. If you move from a waterbed (no firm back support) to a mattress that provides the support your back needs, this change requires a period of adaptation. In any other circumstances, there is no problem adapting to the use of a bed where your back adopts the normal and relaxed natural position. To which size can I have a single slat base? In order to provide perfect functionality of the slat base, there is a limitation in the length of an individual slat, which is at 138 cm width of a slat base. Would the slats be too long, they would not provide sufficient support and swing too much. So, upon the dimension of a Queen Size bed upwards, there are always 2 slat bases to be used in combination with one or two mattresses. What happens to an electric bed when the power goes out? The control unit has a battery that can lower the bed into the sleeping position in the event of a power failure. The bed cannot be raised without electricity. Can an electrically adjustable bed cause insomnia from electromagnetic fields? No, it can’t. The bed has an adapter that shuts off electricity at the power point, avoiding the occurrence of electromagnetic fields. Only when pushing a button on the remote control, the shut opens and electricity may flow. Can children play with an electrically adjustable bed? Just as you would not let your child play with the family car, vacuum cleaner, or any other household appliance, it is best not to permit children to play with an electric bed. Of course, they can use and enjoy their parents’ bed or even have their own electrically adjustable bed, but they should not play with it by constantly changing the positions. The bed’s motors are designed for a maximum period of continuous use of 2 minutes, after which they would need to rest for 30 minutes before being activated again. Changing positions in the normal manner requires the motors to be in use for just seconds, so an adult would reach the desired position quickly and be able to readjust or return to the sleeping position at any time. Is the space between the two bases uncomfortable in a queen- or king-sized bed? No, it is not, due to the 100% suspended surface provided by the construction of the slat base with spring elements placed at the side bars of the slat base. Even if a person were to lie directly on the center of the bed, 100% of the body area would be resting on the flexible slats and spring elements. For reasons of comfort and space, it is preferable for each person to have his or her own sleeping space, another reason why separate mattresses are recommended. Delivery time is approximately 4 weeks, 2 weeks production, 2 weeks transportation time. The production time can be extended to 4-6 weeks for special sizes. How does the European way of sleep, called Nordic way, differ from the American one? The European sleep system is simpler (fewer accessories, what facilitates making the bed), more hygienic (the duvet cover can be washed weekly, keeping it free of dust, perspiration, crumbs, etc.) and more comfortable (the soft duvet cover is in direct contact with the skin). In fact, the European system is so popular that feather, down duvets and duvet covers are now sold and used in the United States. The modern European sleep system includes a fitted sheet with elastic all the way around the edge, keeping it firmly in place on the mattress. The only other bedding items are pillows and a duvet protected by a slip cover. Duvet slip covers are available in a wide variety of designs and fabrics, including satin, cotton, silk, etc. All of these materials are luxuriously soft to the touch and available in attractive, elegant designs. The slip cover and pillowcases are sold as a set for a versatile and sophisticated bedroom décor. The covers are removable and can be washed and changed frequently. The insulating duvets assure a comfortable bed climate independent of the outside temperature. SWISS SLEEP SYSTEM® is offering several prestigious lines of Swiss duvets and pillows from Bico of Switzerland; including ClimaLuxe, with the most revolutionary technology when it comes to climate-regulation in bed. Why use feather pillows and duvets/quilts? Do the feathers in pillows and comforters cause allergies? How well the feathers and/or down were cleaned and sterilized before the product was manufactured (closely linked to the quality and price of the product). In the finest products, such as those imported by SWISS SLEEP SYSTEM®, the feathers and down are washed, cleaned and sterilized seven to ten times. The feathers and down used in inferior products are washed just two or three times. The cleaning and sterilization process removes dirt, dust, dander and invisible skin residues that adhere to feathers and down. These substances are the cause of most allergic reactions. It is not the feathers or down that cause allergies, but the dust they can accumulate when not given proper maintenance. Important is how well you care for the product. One must shake and air feather and down bedding (for example by hanging it on the clothesline to eliminate dust and moisture). These products must always be aired in the shade, as exposure to direct sunlight can cause deterioration of feathers and down. Only people allergic to bird proteins would have an allergic reaction to the down itself, as feathers and down are composed of proteins. a large price difference between one down-filled pillow or duvet and another? Is the product filled with feathers or down? Down is much finer (and more expensive) than feathers. Down are much smaller and do not have a quill. It is the down that provides temperature regulation in a duvet. Feathers trap and retain body heat, making the bed unpleasantly hot. Even for a product described as “down filled,” what percentage of down does it contain? According to U.S. law, a duvet must contain at least 80% down in order to be considered a down duvet. The remaining percentage may consist of feathers, cotton, or any other material. Fur is commonly used. Down is found at the base of the feather or on the bird’s breast. Pure down comes from the breast and is of higher quality. It is denser and able to absorb more air, which directly affects its capacity to regulate temperature. SWISS SLEEP SYSTEM® duvets are filled with 100% pure goose down of the highest quality. Is the down natural or synthetic? Where does the down come from? High quality down comes from mature birds in cold climates. The highest quality down available for use in pillows and duvets is the white down from the breast of adult geese from Hungary, Poland and France. If the down comes from a cold climate, it has undergone many winter seasons. The down on the bird’s breast grows more dense and larger, increasing its capacity to absorb air. You can visually test the quality of down by pressing on a pillow or duvet with your hand. Look to see how easily the product recovers its original shape with you remove your hand. This is an indication of how well the down absorbs air. The more elastic the product (the more quickly it resumes its original shape), the better it will insulate to maintain a consistent, comfortable temperature. How well has the down been cleaned? Obviously, the more thoroughly and carefully the down is cleaned, the more costly the final product will be. Down that is not processed appropriately before being used in bedding products can contain dust, pollen, bacteria, dander, skin residues, etc., which can cause allergic reactions and even give off an unpleasant odor. The down used in SWISS SLEEP SYSTEM® pillows and duvets are carefully cleaned and sterilized to comply with strict standards of hygiene, eliminating any risk of an allergic reaction. How to clean duvets and pillows? Most good duvets can be washed, including the filling material – you should carefully read the care instructions that you find on the label that is sewed on all duvets supplied by Swiss Sleep System. To wash the duvet once a year is fully sufficient. The special cleaning material with the adequate pH should be used or the duvet will be damaged. Swiss Sleep System can provide you with the appropriate product. How heavy is the duvet? The duvet should not feel very heavy or dense. The higher the quality of the duvet, the lighter it will be. If a duvet feels heavy, its filling probably has a high percentage of feathers. The higher the percentage of feathers, the lower the quality of the duvet. Obviously, a duvet with 1000 grams (2.2 pounds) of pure down in its filling will be more expensive than one with just 500 grams (1 pound). The flexibility of the down and its ability to trap air (another measure of its quality) are what allow it to maintain a consistent temperature. The lighter and more flexible the duvet, the greater the capacity for air. It takes more ounces of the stiffer, smaller down feathers from young birds to obtain the effect of a smaller quantity of elastic down from mature birds. Because the lighter down from mature birds is of higher quality, the highest quality duvets tend to be lighter and generally have a higher price. What is the outer cover of the duvet made of? The best material for the cover of a down duvet is 100% cotton, which repels dust and is breathable, permitting air to pass through to the down. SWISS SLEEP SYSTEM® duvets are made from satin cotton (Sarsenet or Batiste), a very fine, high-quality cotton weave that feels soft and silky. Additionally, the cover of the duvet is treated with Sans Pro Care, which is a treatment that is done to the fabric to absorb and get rid of moisture faster. This process significantly improves the moisture balance and makes the bed climate dry and healthy. The duvets are also NOMITE, that is, the fabric is woven so fine and precise that the mites have no chance to penetrate it. For this reason, also our duvets and pillows can be used by people with allergies to house dust. Is there any availability of other kind of duvets and pillows? Development of new technologies has made available a variety of fibers, natural and synthetic, that have several qualities to improve and enhance your sleep. Have a look at our products on our website or contact us for more information. Have questions? Fell free to send us a message.